It’s safe to say that we all have colorful, blissful memories from the bright lights, beckoning balconies, and, most of all, timeless music set against the backdrop of one of the most spirited and coveted venues in the city. And if you don’t have any of these Tipitina’s memories, it’s high-time you make some. 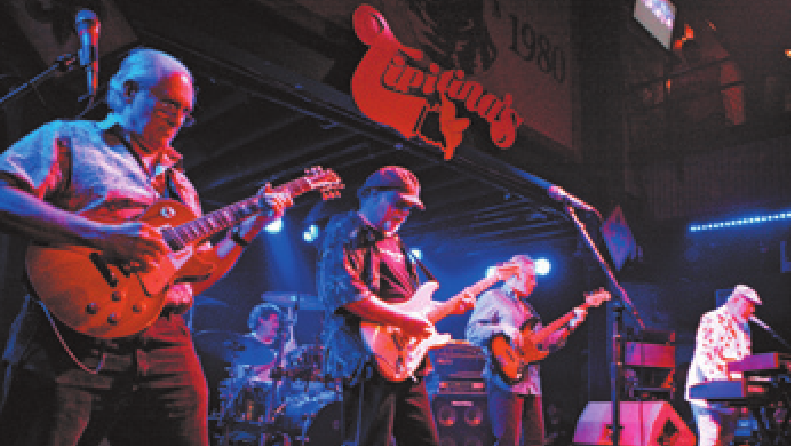 For 35 years, Tipitina’s—aka Tip’s—has provided the music lovers of New Orleans with countless concerts, events, and live recordings, and they’re celebrating that feat with an anniversary and Radiators reunion show on Jan. 18-19, 2013. After 33 years of band life, the Radiators said goodbye to their friends and fans at Tip’s back in June 2011. Though not a Radiators revival per se, the reunion show will be welcomed among their fans and Tip’s fans alike, and is an appropriate way to celebrate the equally long life of this historic venue. 1977 marked the year that The 501 Club opened at 501 Napoleon Ave. in an Uptown New Orleans building that housed a gymnasium, gambling house, and brothel since its initial construction in 1912. The Fabulous Fo’teen, a group of young local music lovers, wanted to provide a venue for pianist and composer Professor Longhair, or “Fess,” still one of the most revered musicians in New Orleans’ long musical legacy and tradition. His effigy—a bust statue— still greets visitors at the entrance of the venue to this day, as well as the giant mural painted above the stage. The venue was eventually named for one of Fess’ recordings, “Tipitina,” and he performed there until his death in 1980. In those early years, it also served as a juice bar and restaurant, which prompted the banana in the logo that Tipitina’s still uses today. For undisclosed reasons, the Fo’teen had a special affinity for bananas, and designer Kathleen Joffrion wanted to create a logo especially for a juice bar that specialized in reggae music. However, there was one minor flaw in the design, as she added an “’s” to the bar’s name—the club’s name was originally Tipitina. After she explained that the logo looked better that way, the banana-handed Tipitina’s logo became permanent. Even WWOZ once called the upstairs of 501 Napoleon its home, before the building was remodeled. Tipitina’s closed during the 1984 World’s Fair for that remodeling project to remove the upper apartment in lieu of higher ceilings and the balconies above the stage that we all know and love. “The building honestly seems to have energy infused in the walls from all of the wonderful, deep history. Every show I’ve played there I’ve felt so much joy!” says vocalist and keyboardist Hannah Krieger-Benson. In 1998, Tipitina’s opened a second location in the French Quarter at 233 N. Peters St. The shows there are fewer and farther between, and the venue is often used for private events. But this location has seen its own round of memorable concerts from local and national artists alike, from Bonerama and the Revivalists to Beats Antique and Gogol Bordello. Another offshoot off this beloved institution is the Tipitina’s Foundation, founded in 1997 to serve local musicians and empower the youth of the city with the passion and instruction of music. They offer a music office co-op that functions as a workspace for musicians, filmmakers, and digital media professionals, equipped with phones, computers, printers, web design tools, and photo and video editing software. Their four co-ops are located in New Orleans, on Tulane Avenue, as well as Baton Rouge, Lafayette and Shreveport. Tipitina’s provides a horn doctor repair shop for instrument repairs as well as training and apprenticeships for repair technicians, plus an 80-room rehearsal facility at Fountainebleau in Mid-City for the use or emerging and professional musicians alike. The foundation hosts free weekly workshops for young and budding musicians every other Sunday afternoon, during which they have the opportunity to learn from and play with premier musicians from around the city. This lineup has included George Porter Jr., Hot 8 Brass Band, Russell Batiste Jr., Kirk Joseph, Astral Project, Johnny Vidacovich, Stanton Moore, Tim Sullivan, Tony Dagradi, Steve Masakowski, and many, many more. They also offer a free internship for which young musicians, ages 13 through 19, can apply to study performance, music theory, recording, and career professionalism. Perhaps the foundation’s most well-known contribution, Instruments A Comin’ is an annual program that provides new instruments for Greater New Orleans school music programs, in an effort to increase youth participation in this cherished art form. The Tipitina’s Foundation has supplied more than 4,000 musicians and 75+ schools with more than $2.5 million worth of instruments. The program accepts used instrument donations—including marching and stage band instruments and equipment—to fill the more than 1,500 instrument requests from local band directors. The fundraising efforts continue year-round, and more information can be found at tipitinasfoundation.org. In the realm of entertainment, Tipitina’s hosts multiple shows per week plus special annual events that locals and visitors have come to love and look forward to. The venue always hosts much-anticipated New Year’s Eve and Lundi Gras shows, featuring Galactic performing long into the late-night. Fess Jazztival is another annual collection of late-night shows throughout the two weeks of Jazz Fest, which will be held this year from April 26 through May 5, 2013. The shows feature local greats like Dr. John, Ivan Neville’s Dumpstaphunk, JJ Grey & Mofro, the Funky Meters, Soul Rebels and Dirty Dozen brass bands, and many more. And then there are the many weekday and weekend shows that Tipitina’s books throughout the year. In the past, the venue’s bills generally featured local artists, but the lineups are more and more including big names and national acts. These acts didn’t always pass through New Orleans at all, which rarely registered in their tour plans. But as more artists are paying attention to the large and passionate crowds they can draw in this city, more and more of them are routing their tours through New Orleans. In turn, local venues are seeing more national headliners atop their show bills, and Tipitina’s is no exception. But it doesn’t end at the variety of national acts; Tipitina’s shows also feature an array of genres, perhaps one of the most diverse in the city. From brass bands and jazz to rock and blues to electronic and jam bands, they’ve had it all, and will surely continue to do so. The venue has even hosted classical performances, including LPO ensembles that entertained guests of the kickoff party for Prelude, a local group dedicated to connecting young professionals with classical music. And Sundays at Tipitina’s feature Bruce Daigrepont’s weekly Cajun dance party and fais do-do—a celebration of Western Louisiana’s Acadian culture. And without a dedicated staff of managers, talent buyers, bartenders, barbacks, and the like—none of this would be possible. 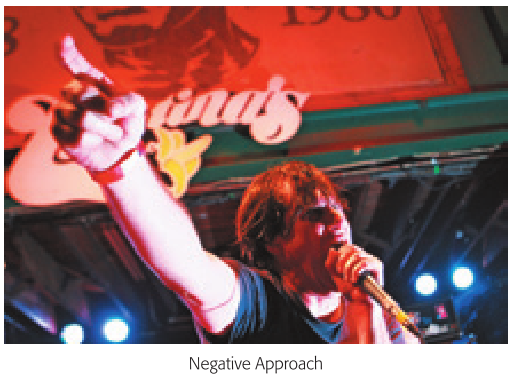 Luckily for Tipitina’s, they have a staff that is lauded by concertgoers and musicians alike. For the past 35 years, Tipitina’s has done much more than most music venues can claim. As an organization, it has contributed immeasurably to the preservation and cultivation of music and musicians in New Orleans. They are truly an institution we can all be grateful for—and it all started with a fabulous group of 14 music fans and their love for Professor Longhair.